I am not really the emotional type. That’s not to say I don’t have emotions – I most certainly do. I just hardly every cry, I prefer not to yell, and I tend to be able to keep my emotions under control. This isn’t always a good thing, as I tend to have issues communicating my feelings, but I am working on it. Anyway, I have had a rough week – one could say an emotional week. I fought with my husband on more than one occasion, my baby had a fever for a few days, a new client turned out to be very nasty, and my dogs had a vicious dog fight that has left us thinking about re-homing one of them. All in a week. It left me feeling undone, a bit numb, and like I just wanted to hide away from the world. So, I did just that. However, there are a few things that I did this week that I believe helped me get through the week without succumbing to my emotions. I get down like everyone else, but it’s rare that I have a week like this. I don’t need much to be happy, and spending time with my children usually is all I need to find my center. This week was a little different. You may be the kind of person that needs a good cry and a glass of wine – and that is perfectly fine. Give yourself permission. However, if you are like me and you want something you can actually do when you are feeling low…give these tips a try. 1. Journal: When I am writing blog posts, I have to critique myself. When I journal, I can just let it all pour out on paper and not give it a second thought. It is a release for me, and helps me organize my thoughts and relax my brain. 2. Unplug: This is one of the first things I do – unplug from the world. Turn off all electronics for the day if you can, and just be present. This can help you feel less attached to external pressures and demands. 3. Clean: This is one thing I do almost immediately when sad or stressed. Take 10- 15 minutes and tidy up your surroundings. Get lost in washing dishes or folding laundry. I know it sounds strange, but there is something soothing about cleaning up when your emotions are high. Less physical clutter often translates to less mental clutter. 4. Brain Dump: I love lists. I find making a list when I am sad or worried helps my mind clear, and then I can focus. Your list doesn’t have to make sense, just get everything that is locked inside your head out. Emotions, feelings, to dos, errands, quotes, anything. 5. Exercise: This can be a tough one to do when you are feeling low, but it has a big effect. Many studies show that people who exercise regularly benefit with a positive boost in mood and reduced stress levels. I might hate doing it, but I never regret the feeling of accomplishment and stress reduction. 6. Serve: Lifting others up will naturally lift you up. I don’t mean to tell you to neglect your needs, but finding ways to be a blessing to others when you are feeling low can take the overwhelming feelings down a few notches. 7. Self Care: You can not pour from an empty well. Take care of yourself. Make sure you are getting proper nutrition and hydration. Take a short nap if you need to, take a shower. Do something to fill your soul. You can’t take care of anyone or anything if you do not practice self care. 8. Ask for help. Delegate tasks, talk to your husband or family members. Tell people what you need and how you feel. Accept help and advice, and above all – pray. If you are in a rough season right now, I pray that some of these suggestions will help you feel better. I’ve been using all of these strategies over the past few days and they have helped. I feel like myself again. It’s important not to feel guilty about being sad or upset. God gave us emotions and feelings and we can use them. I just don’t want you to fall victim to them and forget about the beauty of life around you. Anytime I’m upset I always clean and exercise, all the while listening to music. It calms me for some reason. I definitely agree with unplugging for awhile though. It’s hard to clear your heard when you have distractions. Great post! I’m so sorry you had such a rough week. When life gets to be too much for me, unplugging and serving others are always my go-to’s. It’s really amazing how extending yourself to others when you already feel spread thin restores your soul. Love this post. I love this, these are excellent ideas. I also like to unplug and clean when I am feeling stressed and things seem to be going cray cray in my life. So very true. I’m guilty of angry cleaning! But it works and so do all the other tips you mentioned. I especially like serve. Love all of these! Thanks for the reminder. Brain dump is such a good suggestion that I totally forget about too often! Thanks for sharing! Really great list. I can see how cleaning would give you a big boost. I should try it. I am the worst at asking for help, but it would really solve a lot of those messy moments for me. I’ve been thinking about journaling lately. I’m not sure I have the time for it, but I can see where it would help get everything out. Beautiful blog and helpful suggestions. I usually save the cleaning as a last resort though. I’m with you, I definitely like to clean and purge when I am feeling upset! Great list! Cleaning, journaling, exercising and sleeping are my usual go to’s when life is like this. Great tips. I’m sorry to hear that it was a rough and messy week, Terryn. I can totally relate to this list and think it’s a great place to start when trying to create a sense of normalcy in a tough time. I especially find it helpful to tidy up, unplug, and do some self-care. It’s like a recipe to calm me down. Great post! I’m sorry you had such a rough week this week… I know I’ve been there. One of the things that always pick me up, without fail, is talking to my bestfriend, not just as a means to vent but mostly because I know when we start talking to each other, we are bound to start laughing at something random and stupid lol and nothing cures irritation & depression better than laughter <3 Hope the rest of your week goes by blissful! I’m so sorry you’ve had a rough week! Hope it smooths itself out! These are great tips! I think any one of them help to calm and organize your thoughts! We are currently dealing with mean NYC management companies, so this definitely helps! Thank you! I also tend to be very even-keeled in my emotions, which also means I tend to bottle them up. My go-to stress releaser is definitely cleaning. Unplugging – I must do this too when things and too much and overwhelm me. 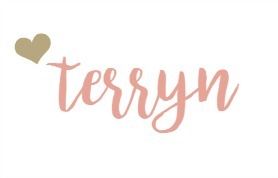 I love reading this one, Terryn 🙂 I hope everything will be fine soon. Yes yes yes! My personal favorites are to unplug and workout. There’s nothing like getting a good sweat on for me- makes it all a little better! sorry to hear you had such a hard week. when it rains it POURS! 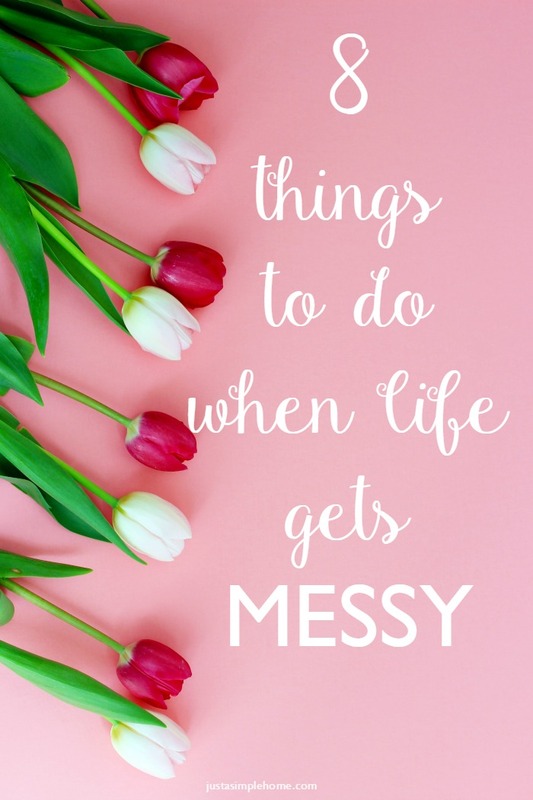 Cleaning and exercising are big on my list for what to do when life gets messy… also ice cream. I love that you included self-care on your list. That is something that is so often overlooked and yet so vital, as you pointed out if you are empty you cannot give.